The award-winning author of The O'Briens and The Law of Dreams now gives us a devastating novel of love and family set in the violent years between 1914 and 1938 as Europe staggers between two world wars. Our narrator is Billy: born to a German father and Irish mother on the Isle of Wight summer estate of the German-Jewish Baron von Weinbrenner. This is the story of Billy and the baron's entrancing daughter, Karin, and the dangerous paths they travel as their childhood attachment deepens to a complex love overshadowed by the rise of the Nazis. Their story takes us from a golden Edwardian summer on the Isle of Wight to London under Zeppelin attack to Ireland on the brink of its War of Independence and at last to Germany in the darkening Weimar period, where Billy and Karin come of age in a country wounded by war and seething with hatreds. On Baron von Weinbrenner's stud farm outside Frankfurt, they share a passion for racehorses and for the Wild West novels of Karl May, whose dream of escape to El Llano Estacado, a richly imagined New Mexico landscape, becomes a powerful beacon of freedom as Germany marches toward Hitler, war, and the Holocaust. 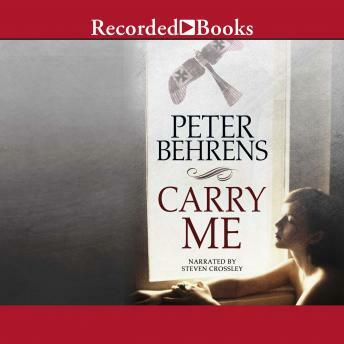 Richly imagined, deeply researched, and profoundly moving, Carry Me is a love story, a historical epic, and a powerful meditation on the violence of Europe's 20th century.